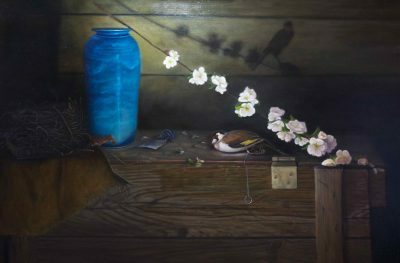 This 10 day intensive is designed to immerse the student fully in the learning, understanding and improving on the fundamentals of oil painting. 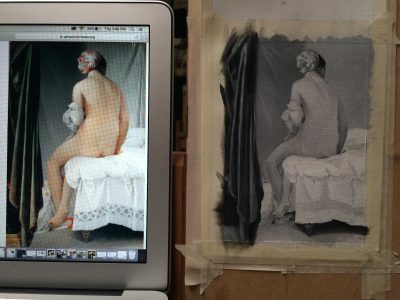 You will learn essential theories in drawing and composition, value and painting studies, color theory and painting techniques, mediums and brushes. 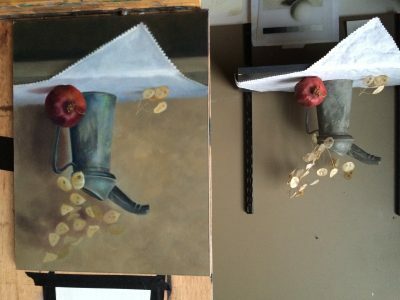 Each student will work in his/her own station to create a still life painting inspired from your favorite painter of the past. You will learn how to do direct ‘alla-prima’ value and color studies along with lesson information handouts to keep to further enhance this study program. All levels are welcome and no previous drawing or painting classes are required. 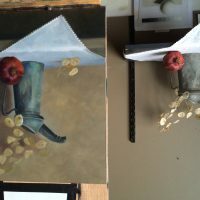 This is a good opportunity for all levels to try something new, pick up some oil painting techniques, study color and composition, learn studio safety, quick painting studies and using the grisaille under-painting and in-direct painting methods used by the Dutch masters.